Updated exclusive collection of Grand Theft Auto 5 Collection. On «warehouse» Rockstar were added 3 new subject: the symbolical Golf club, Golden usb drive, unique t-shirt. The circulation of clubs GTA 5 is limited to 1,000 units. On the surface of the products applied symbolic logo game, familiar to all players. 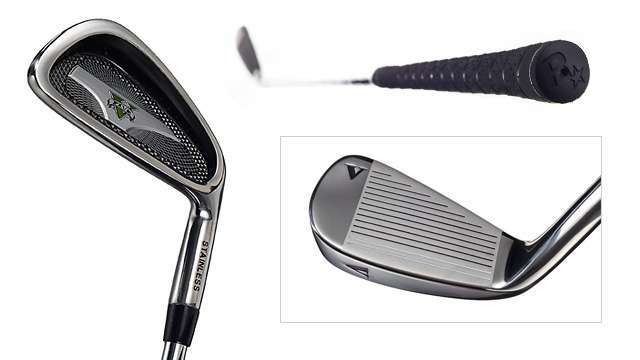 Sticks are made from high quality metal alloy (5-iron). It is intended for practicing medium strength. 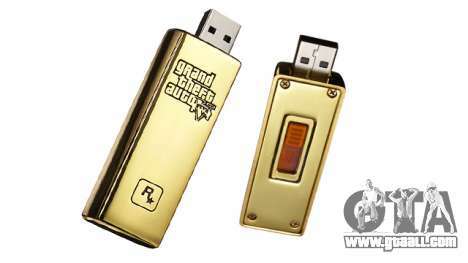 They remind gold bars with a printed symbols GTA 5 and Rockstar. The amount of memory each flash drive allows you to save in encrypted form to 2 GB. For users ' convenience implemented retractable usb connector. 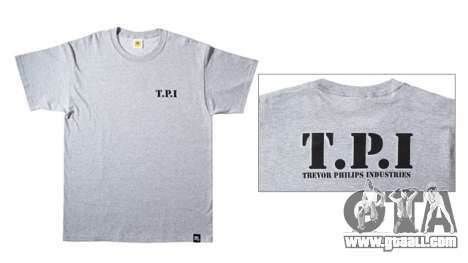 T-shirts T.P.I. made from 100% cotton and are ideal for active exercise and energetic people. Symbolic labels silkscreened on the front of the t-shirts and large - in the turnover.